A modern strand of pearls! 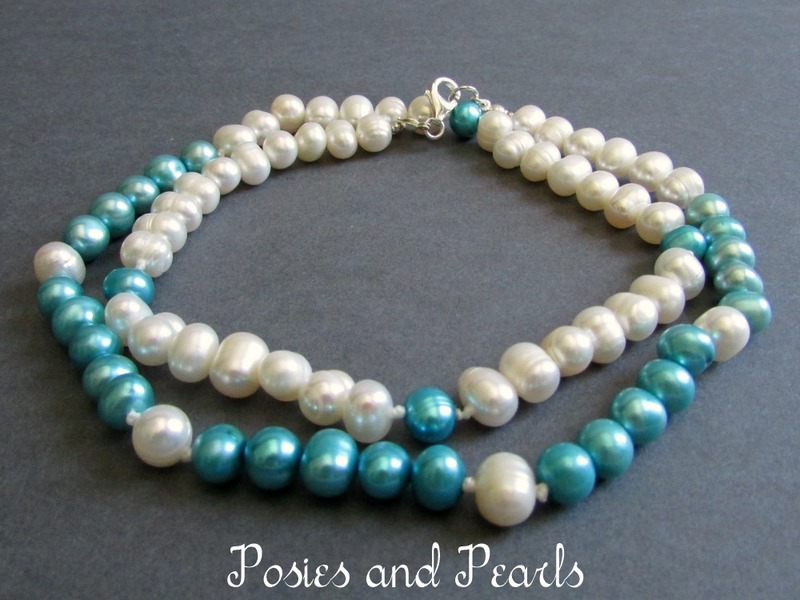 This gorgeous necklace features lustrous freshwater pearls in two colors – classic ivory and brilliant blue. A color blocked pattern is created by alternating segments of the two colors. The 7mm, oval (or potato) shaped pearls are hand strung on a double reinforced nylon cord. 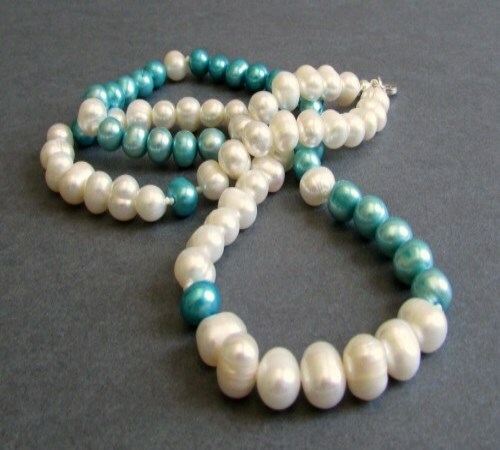 Knots are tied to highlight each segment of color and to provide security for the pearls. A simple sterling silver clasp is the finishing touch. 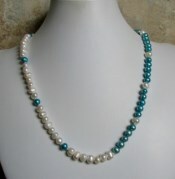 This necklace looks beautiful on its own and also layers well with other pieces. It is sure to become a new favorite addition to your collection! Please note: You may notice a few waves/curves in the necklace. 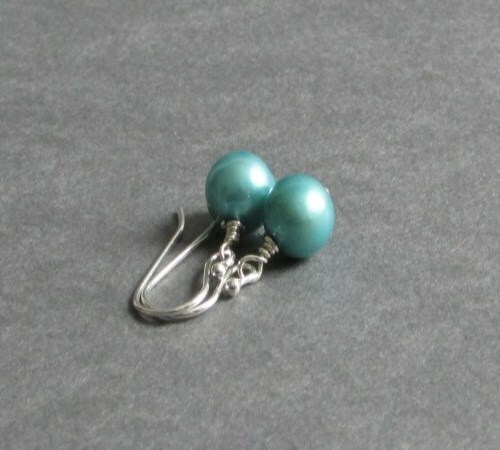 These are due to the knotting process. With time and wear, the strand will straighten. 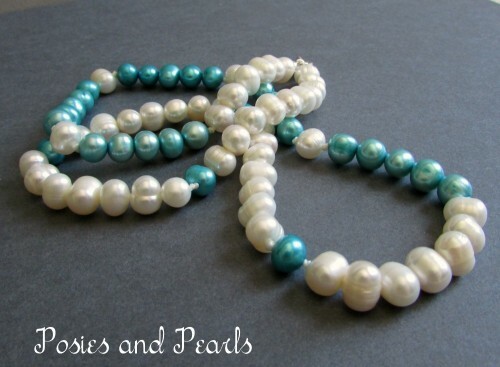 CUSTOM REQUESTS: This style of necklace may be redesigned at any length or in a different color scheme. 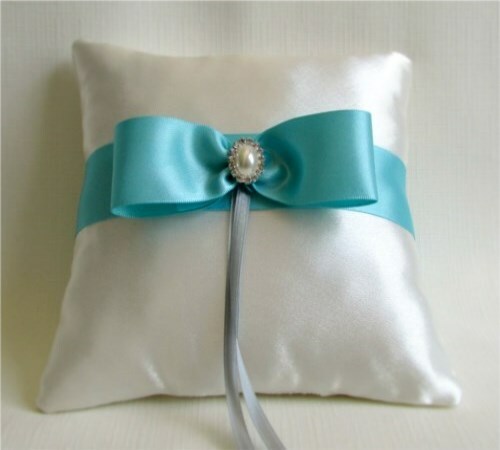 It would be a wonderful accessory for a bride or her bridesmaids. Contact me and I will be glad to assist you!